Whether you stub your toe, have chronic pain, have an argument with spouse, or just found out you have cancer… the best thing you can do for yourself in any given moment is take a deep belly breath… allowing your abdomen to expand and shoulders to relax, and dumping the exhalation like a relaxed silent sigh of relief. Breathing on purpose is a great strategy for mental health, stress relief, and physical health… naturally. It’s at the center of many meditation practices including Mindfulness, which is even being taught in many schools now. Problem is… most people don’t even know how to take a deep, cleansing “belly breath,” and doing so is the exact opposite of what we have been “programmed” to do in response to stress. Yep. Since early childhood, most of us have learned to stuff our feelings in order to avoid getting in trouble!Remember hearing this one?… “Stop crying or I’ll really give you something to cry about!! !” For a child who is 7-years-old or younger, hearing this threat is very scary. They must do whatever they can to stop crying. The only way a child can stop crying is to restrict their breathing. It’s not a healthy pattern, but eventually about 80% of adults are doing so automatically, without even noticing. That’s why so many people experience depression, anxiety, panic attacks, chronic pain, chronic fatigue, irritable bowel syndrome and many other forms of mental illness and physical disease. 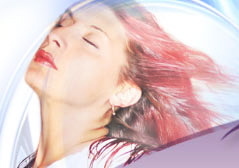 Transformational Breath® is a highly evolved method for freeing up Restricted Breathing Patterns, clearing emotional baggage, and re-establishing your healthy, natural connection with your true feelings. Why is this so critical to your well-being? Restricted Breathing Patterns are embedded early in life, at the deepest core of the subconscious mind. This is primarily the result of having to stifle our feelings and emotions, as children, in order to earn acceptance or approval from the adults upon whom our lives depend. The only way to stop those feelings was to restrict our breathing. Even though stuffing the emotions (by restricting the breath) got us out of the “hot seat” of the moment, those unexpressed emotional energies remained in the body. After years of stuffing down our feelings and choking back out tears, it becomes automatic to restrict our breathing to stuff our feelings. These automatic restricted breathing patterns eventually reduce our ability to even feel our feelings, and ultimately hinders the healthy functioning of the autonomic nervous system. This phenomenon contributes dramatically to anxiety disorder, depression, asthma, COPD, chronic stress and, therefore, all kinds of disease. Many experts estimated that 95% of illness is the result of negative stress. The good news is that “Breathe and Relax” can once again become your automatic response to most forms of stress – those which do not really warrant a “fight or flight” response. Transformational Breath® can give that back to you and what a huge difference it makes in every moment! Every Transformational Breath® session super-oxygenates the body and stimulates the parasympathetic nervous system to kick in. This leads to the healing response, endorphin release, and deep states of awareness. Many people experience a tangible connection with God, Spirit, Universe, Jesus, Source (different people use different names). Suppressed pain and trauma, previously stored in the cells and energy field, are released along with their corresponding self-limiting beliefs and behavior patterns. The focused loving attention and unconditional acceptance, that you’ll receive from me, also assists in the process of replacing painful self-sabotage patterns with more beneficial, consciously chosen beliefs and patterns of thought and behavior. After a series of ten to twenty sessions, it becomes more natural to breathe easily and fully, allowing a more relaxed and joyful relationship with all that is.